Premium Daily Rewards will come every 12 hours during this event. You will have a higher chance to get a Zombie Head drop from the Super Zombie. This head is needed for the newest craftable melee in Survival. 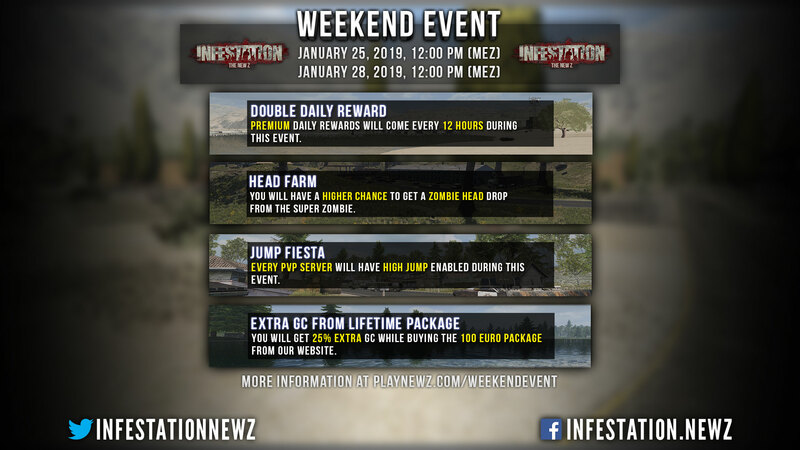 Every PVP server will have high jump enabled during this event. The standard key for high jump is "V". You will get 25% extra GC while buying the 100 Euro package from our website. 100 Euro package contains Lifetime Premium. We would also like to remind players if they experience any issues regarding the game to please contact us. Now it's time to collect me some Zombie Heads! GD event ? when start ?? 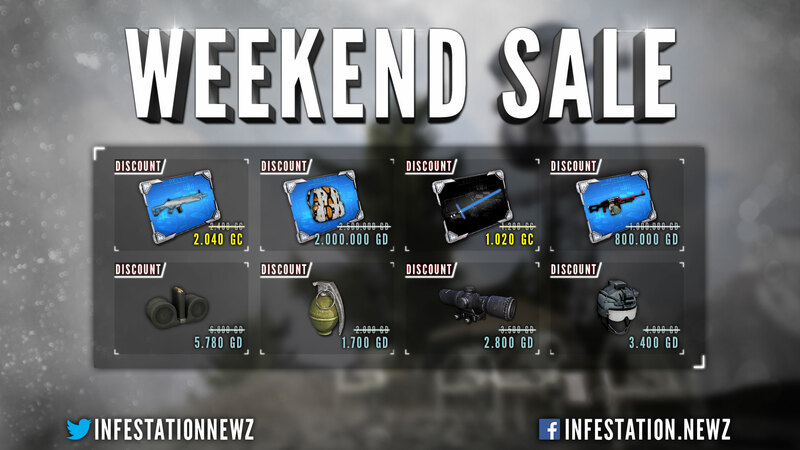 The Weekend Event just started!